I am new to this Forum and happy to be here. I am new to this Forum and happy to be here. I have been reading posts from here for a while and thought I would join. I enjoy looking for reptiles and amphibians with my Dad and we try to go almost every weekend. We catch and release what we find since my Mom is not ready to have snakes in the house yet and since it would be impossible to keep all the herps that we find. We make sure to release them right where we find them. I am currently breeding some Crested Geckos and have a couple of eggs in our homemade incubator. We have been catching a lot of king snakes, night snakes, and gopher snakes lately. We have also seen quite a few Southern Pacific rattlesnakes and one Red diamondback the other day. The rattlesnakes that we see we leave alone. We recently caught a Coastal Patch Nose snake. I will post a picture of it as soon as I figure out how to do that. Re: I am new to this Forum and happy to be here. Welcome to the forum! You sound like a true herper at heart ... and so does your dad, very cool. You guys ever take photos? We'd love to see them! We do take pictures, and I have plenty to post when I figure out how. I am working on that now. I Take pictures with my iphone5C so the pictures vary in quality. I am sorry about that. I am saving my money to buy a normal camera for my herps. 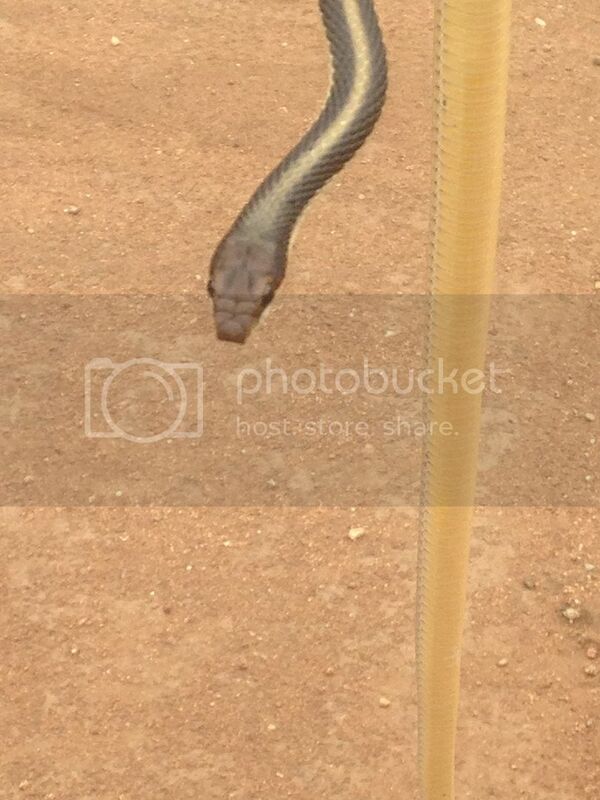 http://s300.photobucket.com/user/Reptil ... g.jpg.html here is a picture of the patch nosed snake we caught. Nice! What snake is that in your avatar? Hans Breuer (twoton) wrote: Nice! What snake is that in your avatar? Looks like a night snake Hypsiglena; don't know which species/subspecies as a lot of work has been done with them in the last several years. it is a coast night snake. they tend to imitate a viper and sometimes rattle their tails like a rattlesnake. I use the same avatar for instagram. Thank you for helping me with the picture posting. I will try it again but I tried to follow it but it was sort of confusing for me.